Have you ever wondered how to get dressed in the morning with your sleepy, cuddly kitty contentedly staying put on your shoulders? It can’t be easy! But this man has the solution! He begins his satirical tutorial by using his own sweet kitty as his model. He then proceeds to demonstrate how to put on a sweater without disturbing the comfortable cat on his shoulders. 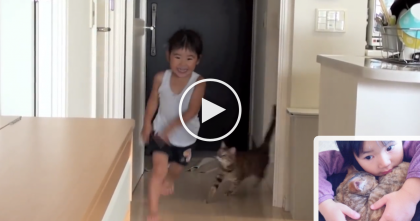 You just can’t help but smile and laugh while you watch! LOL! 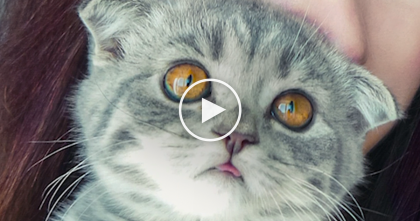 Cat Sticks Out Her Tongue SOO Far You Won’t Believe It’s Real… Now Watch It, OMG. 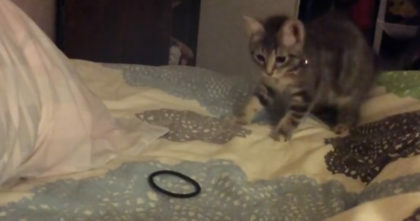 Watch the kitten’s reaction when he discovers a hair tie for the first time… Just TOO funny, I love it!! 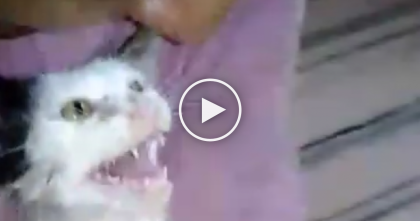 Rescued Kitty Discovers He Is Loved, But The Reaction Is The Sweetest Thing EVER.